Tottenham will return to London immediately after Wednesday’s crunch Champions League clash against Manchester City – despite playing at the Etihad Stadium again just 64 hours later. 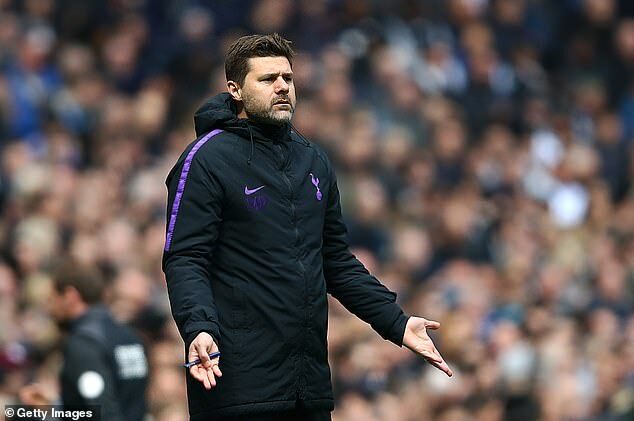 Mauricio Pochettino will prepare his team for the Saturday lunchtime Premier League clash against Pep Guardiola’s men at the club’s Enfield HQ despite the tight turnaround between visits to the Etihad. Last week, City took the decision to stay in London between their triumphant FA Cup semi final win over Brighton at Wembley on Saturday, on April 6, and the Champions League quarter final first-leg tie at the new Tottenham Hotspur Stadium three days later. 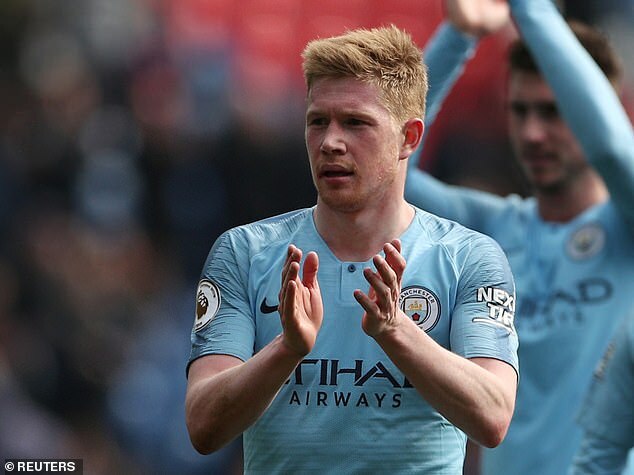 Meanwhile, City attacker De Bruyne insists his team not be lulled into a false sense of security in Harry Kane’s injury absence ahead of tomorrow’s crunch Champions League showdown. 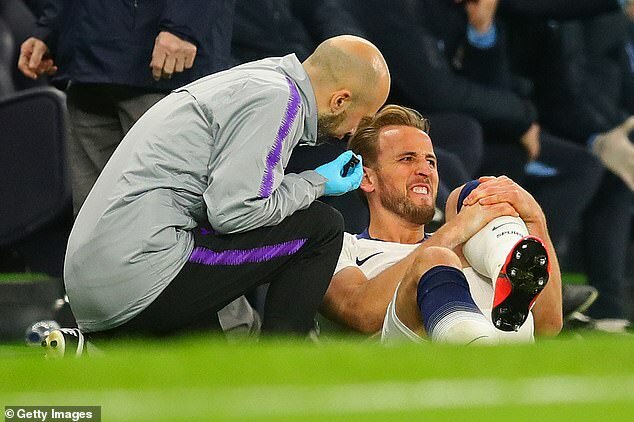 Tottenham striker Kane will miss Wednesday’s second leg at the Etihad Stadium after injuring his left ankle in a challenge with Fabian Delph in their 1-0 win over City in last week’s first match. The news comes as an obvious blow to Mauricio Pochettino’s side given Kane’s huge importance to the Tottenham team. But De Bruyne insists the England captain’s absence does not give City an advantage as they try to overturn the one goal deficit. 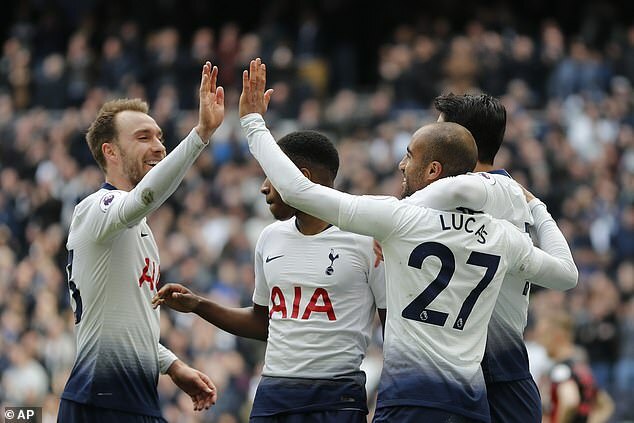 Tottenham went on to beat City last week after Kane was carried off and thumped Huddersfield 4-1 without their talismanic striker on Saturday. ‘Harry Kane is a wonderful striker, but it would be disrespectful to the other guys (to say City have the advantage),’ said the Belgian. City captain Vincent Kompany added: ‘When you play Tottenham – or any top six team – they have such a vast squad, such a wealth of talent that if you take one player out, you might lose something but the new player will bring something entirely different to the table.